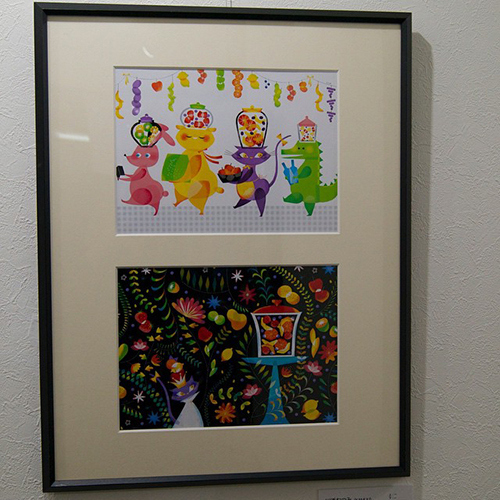 I joined the group exhibition “Covers for The Diary Of Fruit Liquor”. 21 illustrators joined this exhibition. The Diary Of Fruit Liquor is mede by ilustrator Yaeko Ikeda & Maki Matsumoto. This diary include column how to make fruit liquor. 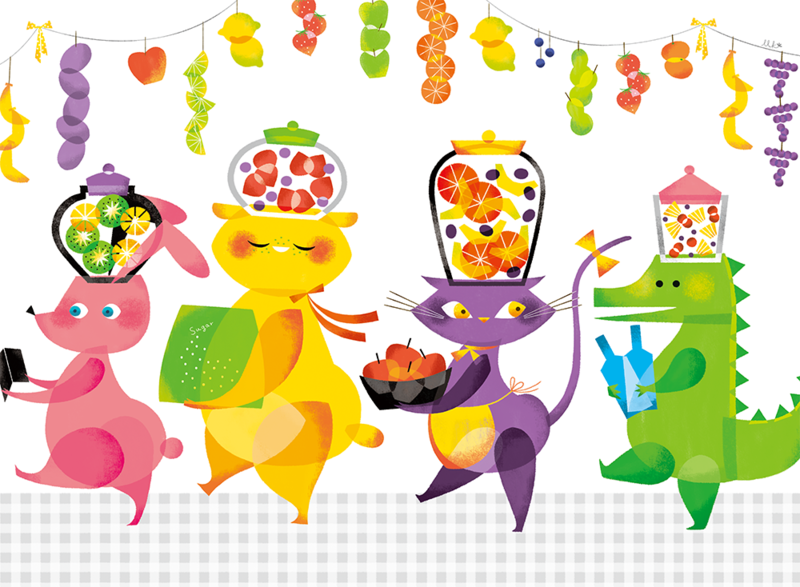 I drew the image of "adventure of fruit liquor". This cat in my illlustrations is the friend of Tsumami. Tsumami is the character of this diary. 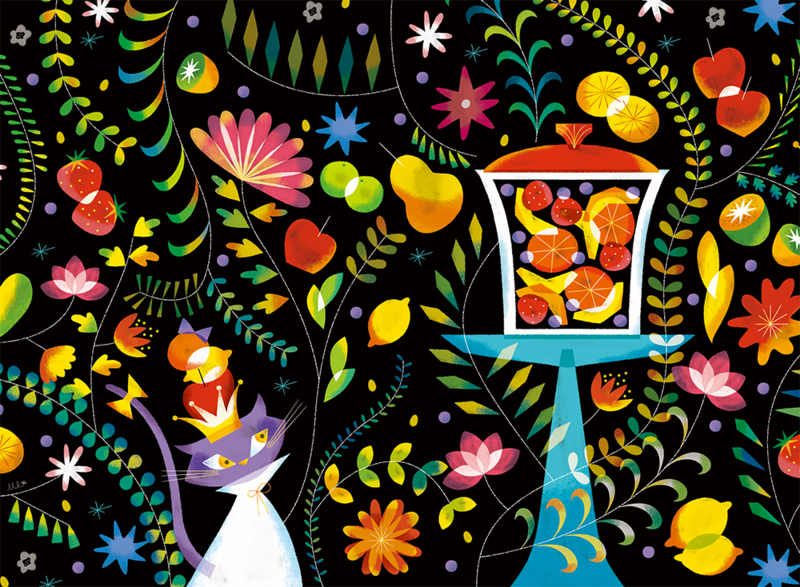 These illustrations are represented cat coming to fruit liquor kingdom.